Access control: In the fields of physical security and information security, access control is the selective restriction of access to a place or other resource. The act of accessing may mean consuming, entering, or using. Accession of Turkey to the European Union: Turkey is negotiating its accession to the European Union as a member state, following its application accede to the European Economic Community, the predecessor of the EU, on 14 April 1987. After the ten founding members, Turkey was one of the first countries to become a member of the Council of Europe in 1949. Accessibility: Accessibility is the design of products, devices, services, or environments for people with disabilities. 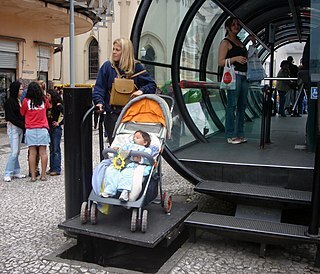 The concept of accessible design and practice of accessible development ensures both "direct access" (i.e. Accession of North Macedonia to the European Union: North Macedonia's accession to the European Union has been on the current agenda for future enlargement of the EU since 2005, when it became as a candidate for accession, but it has not yet entered into accession negotiations. It submitted its membership application in 2004, thirteen years after its independence from Yugoslavia.